Kicking Off The Tour Season! Shortly before the year's end, we have reached 10 000 likes on our artist page on Facebook! We are continuously adding new dates! Just a few more weekends with The Busters (plus a talk show special in Hamburg), then it's on with some more Dr. Ring Ding shows. Xmas - Ska- and Reggae style! 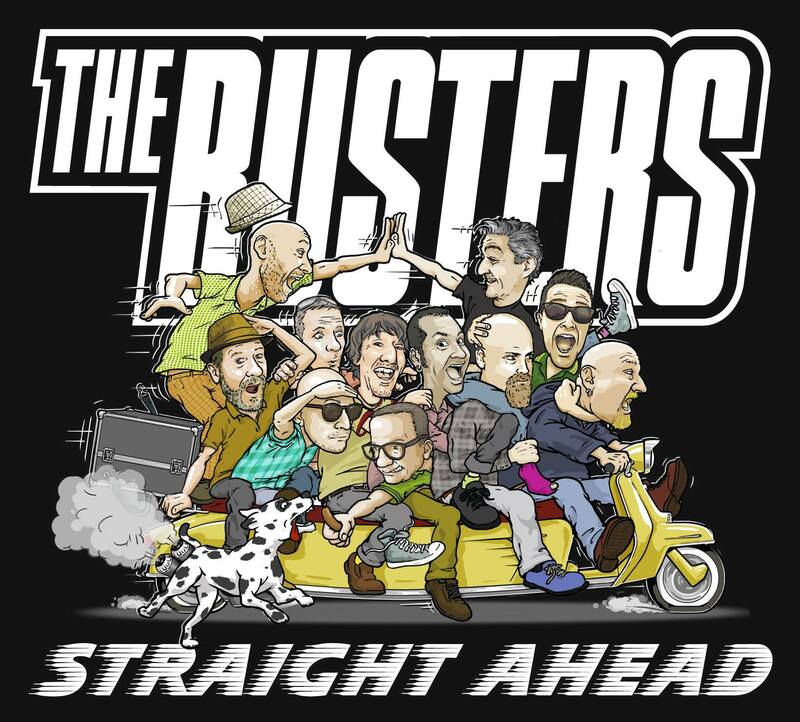 The new album from The Busters is out! We are currently working on our new album Straight Ahead - composing, playing, beating, blowing and singing... Get ready for a treat! Had a blast hosting last weekend's THIS IS SKA Festival in Roßlau! In our online shop, you will not only find many fantastic t-shirts of Dr. Ring Ding, Ska-Vaganza and a few special goodies, but also (besides the regular albums) a variety of vinyl and CD rarities - including special imports from Korea and the USA. Check out the new dates for the next months. One highlight will be the upcoming tour with my buddies King Django and Brian Hill in the USA. Version City on tour! We are happy to announce the release of "Once A Year". A long cherished dream becomes reality: November 2015 will see the release of an entire album of Christmas tunes. Coverversions of traditional songs from different countries such as Germany, Poland, USA, France and England and some self-penned songs to make the season bright - Ska and Reggae style! We are getting excited! Five dates in Germany, and after that, we start recording for the new Dr. Ring Ding Ska-Vaganza album. The new (double-) album is out! Best handmade sound from Dr. Ring Ding, Sharp Axe Band and friends, mixed by Goldi Goldvibes. In total 30 tracks - Roots Reggae, Rub-A-Dub, Dancehall, Ska and Dub. Here is the official video clip for the song Don't Think Twice, It's All Right. And here is the link for ordering it in our ONLINE-SHOP. The online shop is up and running now! Dr. Ring Ding Ska-Vaganza - More News! Pressing can start soon, the finished products (CD on Pork Pie, LP on Buenritmo) will probably be ready in 4 weeks. Then the usual promo-procedure will start, and the official release date will be in early November. However, there will be a Double-Vinyl-7″Single released on Jump Up Records (Chicago) before the album, and they will contain two tracks from the album and two exclusive tracks. Dr. Ring Ding Ska-Vaganza – album almost finished! 15 new compositions of Old School Ska in the vein of the legendary ‘Dandimite’ release from 1995! The album is currently being mixed in Macau by Doc’N’Ric. It was recorded in Catalonia and Germany, comprising, among others, members of Barcelona’s own Freedom Street Band as well as some of the Doctor’s longtime companions from the German Ska and Reggae scenes (The Busters, The Senior Allstars, Sharp Axe Band…), and a few special guests from Jamaica and the USA. There is also a duet with the Skatalites’ Queen of Ska, Doreen Shaffer. CD and Vinyl will be out on Pork Pie and Buenritmo. We will keep you posted! Dr. Ring Ding Ska-Vaganza - album in the making! The recordings for a new, all-Ska album of Dr. Ring Ding have started! New Compositions of Old School Ska in the vein of the legendary Dandimite release from 1995 – we will keep you updated! Thanks to everybody who came to the Rude Cat festival in La Mirona and helped celebrate the Dr. Ring Ding Ska-Vaganza! It was a great party for all of us, The Freedom Street Band and our special guests Genís, Bruno and Alvaro. The single release party is taking place on December 18. at the Klub Chwila in Warsaw! New Dr. Ring Ding tune out! You can download it on all regular portals, to listen to the track (for free), click HERE! From the members of the Dresden Ska band Yello Umbrella comes a beautiful book / audio book about a Reggae loving hare by the name of Der Reggaehase Boooo. 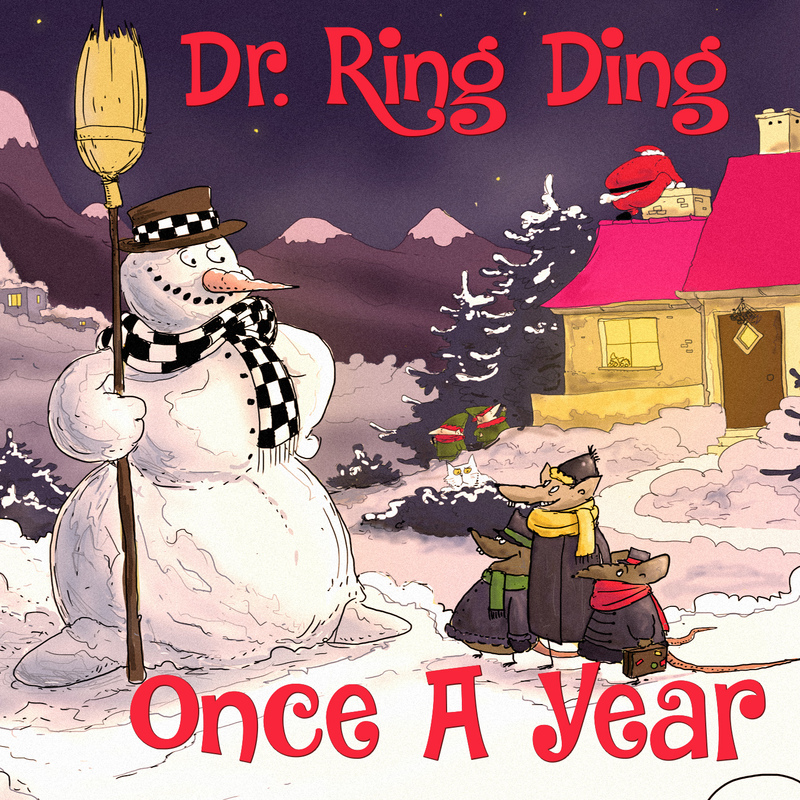 Dr. Ring Ding is the narrator of this pretty story that is filled with music and good vibes. Only in German so far. The new Yellow Cap album is out! Fine Ska, dirty Reggae and tons of good vibes can be heard on the CD “Like It Or Not“. It was produced by Dr. Ring Ding who also guests on a few tracks – for more information and sound, check out the Yellow Cap Homepage. Dr. Ring Ding and the Sharp Axe Band had a great time in Russia. Thanks to the people who came to the shows in Moscow and Magnitogorsk! The new Senior Allstars‘ album has just been released. It is called Hazard and offers great dubby, jazzy Reggae. Dr. Ring Ding guests on trombone on a couple of tracks. My Roots and My Culture! Out now: the new album of Austria‘s groove experts House Of Riddim called “Für Alle”. On the release, you will find 17 germanophone artists who can be heard on 15 tracks of the band – among others Thai Stylee, Phenomden, Mono & Nikitaman, Ganjaman, Mellow Mark… Dr. Ring Ding offers the tune “Große Fresse” (Big Mouth)! This DJ is a RUDE BOY! Brand new: a joint venture of Alpha Boy School vs. Leland P featuring Dr. Ring Ding – a 4-track EP with a bewildering mix of Ska, Dancehall, Elektro and Disco! Get it at MoonstompRecords. Dr. Ring Ding can be heard on the new album of Germany‘s Jazzkantine, “Hell‘s Kitchen“. Classics from the Heavy Metal and Hard Rock genres were transformed into Swing, Smooth Jazz, Lounge, and Latin Jazz. 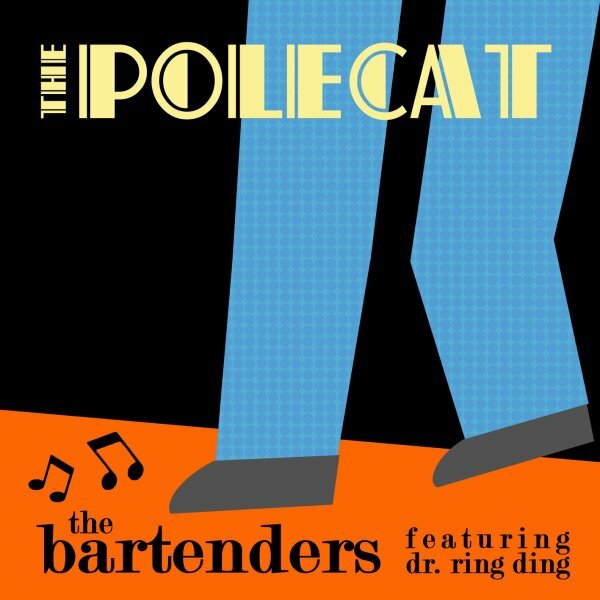 Among the numerous guest singers, you can find Xavier Naidoo, Pat Appleton, Max Mutzke, Tom Gäbel, and Sam Leigh Brown- Dr. Ring Ding delivers his rendition of Van Halens “Ain‘t Talking ‘Bout Love” in a relaxed Dub-Jazz version. Two new Dr. Ring Ding singles have just come out! - as guest singer with the Hungarian Reggae band Ladánybene 27 on three tracks on their new album “Babylon Cirkusz” as well as a version on their “Judgeday” riddim-excursion. The single “Ruff Like A Rock” (Dr. Ring Ding vs. Mashed Beans) has been released on December 7th! The new album “Nice Again” has been released on December 14th! The video of Ruff Like A Rock is now on YouTube! Большое спасибо всем посетителям моих концертов в Санкт-Петербурге, Москве и Иркутске, сделавшим эти вечера незабываемыми! С большим удовольствием приеду еще раз! In the USA on Megalith Records, in Europe onMegalith Europe. A MUST! Kurz vor Jahresende haben wir auf unserer Künstlerseite auf Facebook 10 000 Likes erreicht! Wir fügen ständig neue Termine zu! Jetzt noch ein paar Wochenenden mit The Busters (plus ein Talk Show Special in Hamburg), dann geht es weiter mit ein paar neuen Dr. Ring Ding-Shows. Xmas - Ska- and Reggae-Style! Das neue Busters-Album ist raus! Im Moment sind wir im Studio fleißig und arbeiten am neuen Album Straight Ahead - komponieren, spielen, zupfen, schlagen, blasen uns singen... Macht Euch auf was gefasst! Im Juli 2017 trete ich meine zweite Reise nach Afrika an. 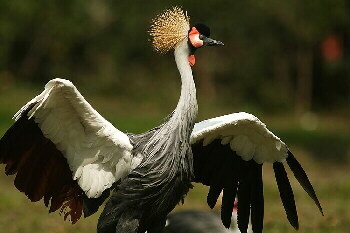 Uganda, die Perle Afrikas, wird Dr. Ring Ding und Spruddy One willkommen heißen. Ein großes Dankeschön an die Crews in Kampala und Mbarara! Letztes Wochenende durfte ich wieder als Ansager beim THIS IS SKA Festival in Roßlau agieren - toll war's! In unserem Online-Shop gibt es nicht nur viele tolle T-Shirts von Dr. Ring Ding, Ska-Vaganza und ein paar besondere Schmankerl, sondern neben den regulären Alben auch viele Vinyl- und CD-Raritäten, zum Teil Importe aus USA und Korea. Es gibt jede Menge neuer Termine in den kommenden Monaten. Ein Highlight wäre da zum Beispiel die USA-Tournee mit meinen beiden Kumpeln King Django und Brian Hill - Version City on Tour! Wir freuen uns, Euch die Release von "Once A Year" zu verkünden. Wir sind schon ganz aufgeregt! Fünf Dates in in Deutschland, und danach beginnen wir mit den Aufnahmen für das neue Dr. Ring Ding Ska-Vaganza Album. Das neue (Doppel-)Album ist da! Bester handgemachter Sound von Dr. Ring Ding, Sharp Axe Band und Freunden, abgemischt von Goldi Goldvibes. Insgesamt 30 Tracks - Roots Reggae, Rub-A-Dub, Dancehall, Ska und Dub. Hier gibt es das Video zum Song Don't Think Twice, It's All Right zu sehen. Und hier gibt es das gute Stück in unserem ONLINE-SHOP. Dr. Ring Ding Ska-Vaganza - Mehr Neues! Die Mixe für das Album Piping Hot sind von Doc’N'Ric in fertig gestellt worden – und schön sind sie geworden! Bald kann gepresst werden, die fertigen Tonträger (CD auf Pork Pie, LP auf Buenritmo) werden voraussichtlich in 4 Wochen fertig sein. Dann beginnt die übliche Promo-Prozedur (Magazine etc), und die “offizielle” Veröffentlichung ist Anfang November. Wie dem auch sei, eine Doppel-Vinyl-7″Single wird vorab schon mal bei Jump Up Records(Chicago) veröffentlicht, darauf zwei Tracks vom Album und zwei exklusive Tracks. Dr. Ring Ding Ska-Vaganza – Album fast fertig! 15 Neue Old-School-Ska-Kompositionen im Stil der legendären ‚Dandimite‘ von 1995! Das Album wird zur Zeit in Macau von Doc’N’Ric gemixt. Aufgenommen wurde es in Katalonien und Deutschland mit Mitgliedern der Freedom Street Band aus Barcelona und langjährigen Mitstreitern des Doktors aus der deutschen Ska- und Reggae-Szene (The Busters, The Senior Allstars, Sharp Axe Band…), und ein paar Special Guests aus Jamaika und den USA. Auch ein Duett mit der Queen of Ska, Doreen Shaffer (von den Skatalites) ist dabei. CD und Vinyl werden bei Pork Pie und Buenritmo erscheinen. Wir halten Euch auf dem Laufenden! Dr. Ring Ding Ska-Vaganza - Album in der Mache! Die Aufnahmen für ein neues Ska-Album von Dr. Ring Ding haben begonnen! Neue Kompositionen im Old School Ska, ganz im Stil der legendären Dandimite von 1995 – wir halten Euch auf dem Laufenden! Danke an alle, die zum Rude Cat Festival in La Mirona gekommen sind und die Dr. Ring Ding Ska-Vaganza gefeiert haben! Es war eine wunderbare Party für uns alle, die Freedom Street Band und unsere Special Guests Genís, Bruno und Alvaro. Neuer Dr. Ring Ding tune! Das Stück kann man auf allen regulären Portalen downloaden, um es dir kostenlos anzuhören, klickst du HIER! Dr. Ring Ding hat ein neues Lied draußen: Rub A Dub Styler auf dem italienischen Bizzarri Records Label. Old School at its best! Das neue Yellow Cap-Album ist erschienen! Feinster Ska, dreckiger Reggae und jede Menge guter Vibes sind auf dem CD “Like It Or Not” zu erleben. Produziert wurde der Longplayer von Dr. Ring Ding, der bei einigen Tracks selber musikalisch in Erscheinung tritt… Mehr Informationen und Sound findet man auf der Yellow Cap Homepage! Von Mitgliedern der Dresdner Skaband Yellow Umbrella kommt ein wunderschönes Buch / Hörspiel für Kinder über einen Hasen, der Reggae über alles liebt. Die liebevoll gestaltete Geschichte heisst Der Reggaehase Boooo, und Dr. Ring Ding ist der Sprecher des Hörbuchs, das mit Musik und guten Vibes gespickt ist. Bestellen kann man es unter Anderem HIER. Dr. Ring Ding und die Sharp Axe Band hatten wundervolle Tage in Russland! Vielen Dank an alle, die bei den Shows in Moskau und Magnitogorsk waren! Supersonic Sound aus Berlin haben zwei neue Selections rausgebracht. Die beiden von Junior Blender produzierten Riddims hören auf die Namen “Ooh” und “Rudie” – und neben vielen internationalen Artists wie General Degree, Spruddy, Perfect, Bunji Garlin, Marlon Asher u.v.a. gibt es zu beiden Riddims auch jeweils eine Version von Dr. Ring Ding. In My Love Is Right auf dem Ooh singt der Doc im Duett mit sich selber (inklusive einer Hommage an den großen Gregory Isaacs), bei My Roots and My Culture auf dem Rudie zollt er seinen Wurzeln als Ska-Musiker Respekt. Von Dr. Ring Ding gibt es den Tune “Große Fresse” auf die Ohren! Ganz frisch erschienen ist die Kollaboration von Alpha Boy School vs. Leland P featuring Dr. Ring Ding – eine 4-Track EP mit einer ungewöhnlichen Mischung aus Ska, Dancehall, Elektro und Disco! Der offizielle Videoclip von Dr. Ring Dings “Mafia” wurde von Stop-Motion Künstler Joao Gargate gemacht. Es gibt zwei neue Singles von Dr. Ring Ding! Das neue Album “Nice Again” ist am 14. Dezember erschienen!